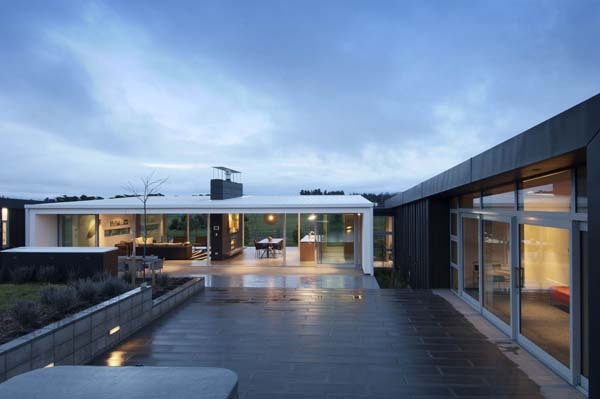 The exceptional Dixon House is a family weekend retreat constructed by Stapleton Elliot Design Group, in Martinborough, New Zealand. 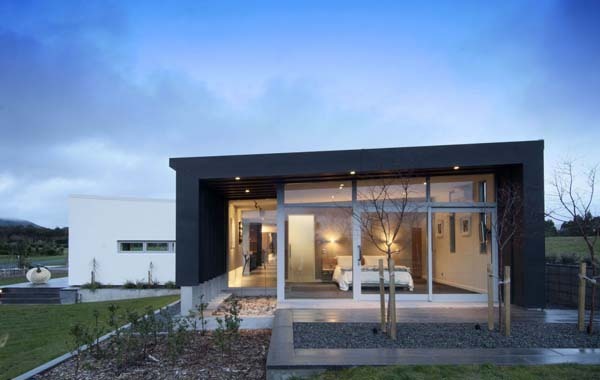 The single floor layout is a pavilion home made up of 3 airy volumes enclosing a sheltered courtyard. 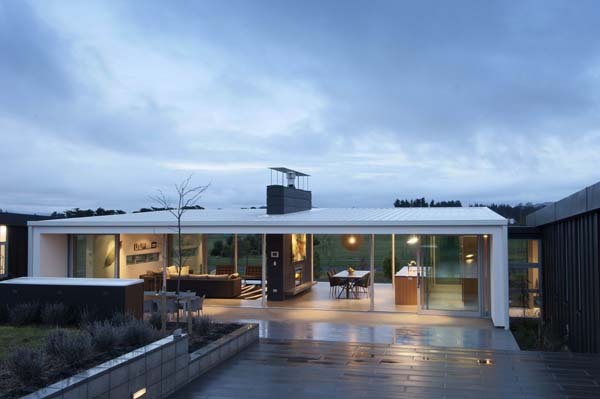 The bright central pavilion is open longitudinally on 2 sides, clad in minimalist white with a very slight roof slope, and accommodates the living, dining and kitchen areas. 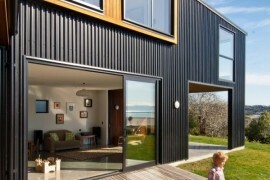 The 2 marginal pavilions feature dark gray cladding and fewer glazed areas, housing the more private spaces of the house. 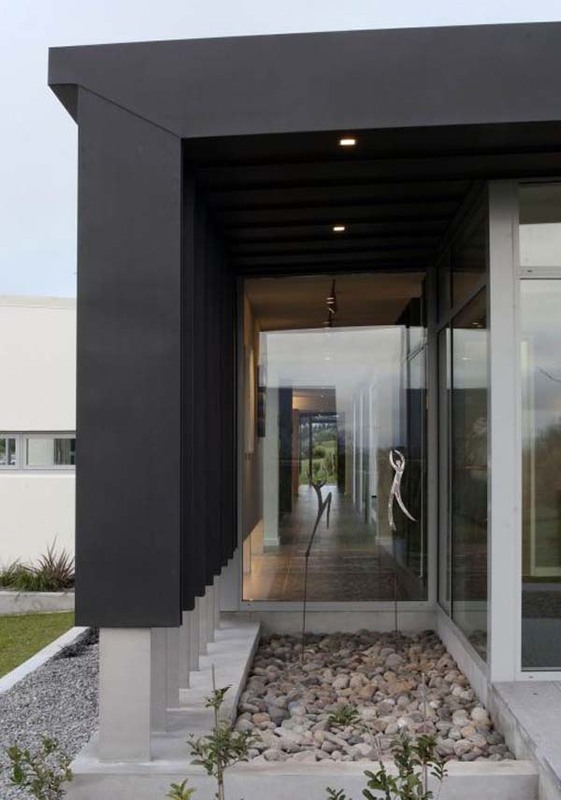 The bright and airy central volume merges the inner spaces with the beautifully landscaped exterior, while the marginal pavilions feature modern and intriguing facade details, blade-shaped support elements. 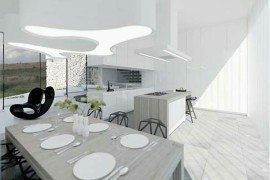 The interior design is contemporary but uncomplicated, with comfortable furniture, Barcelona chairs, artful light installations and paintings. 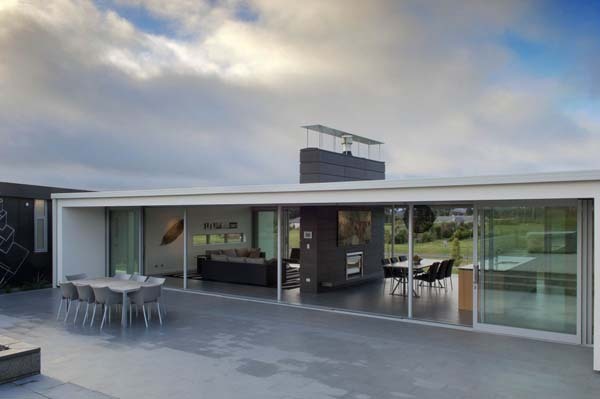 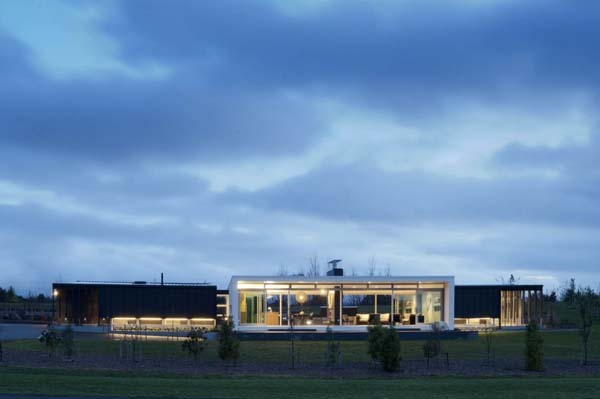 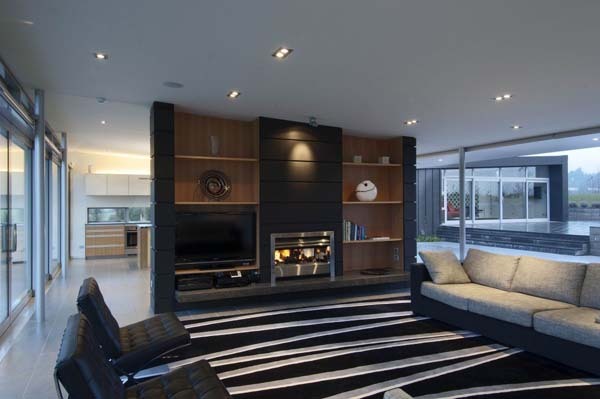 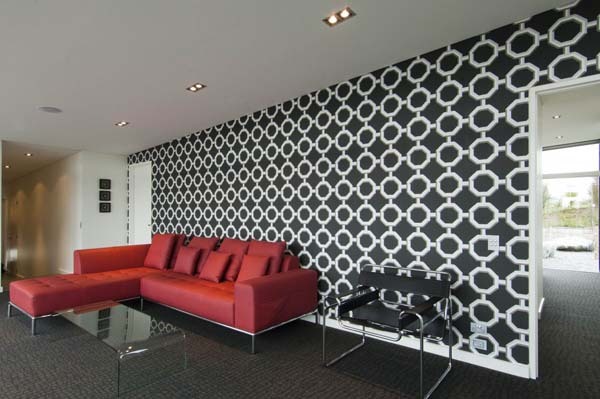 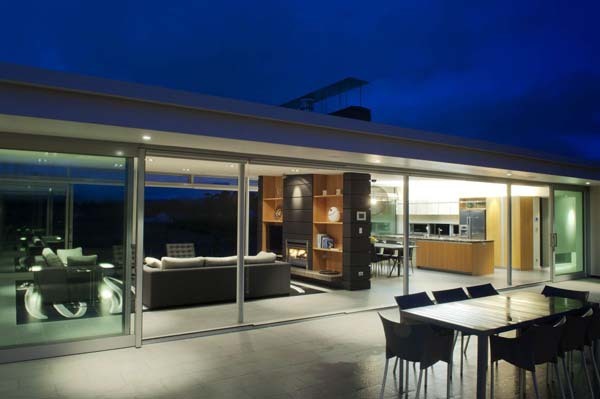 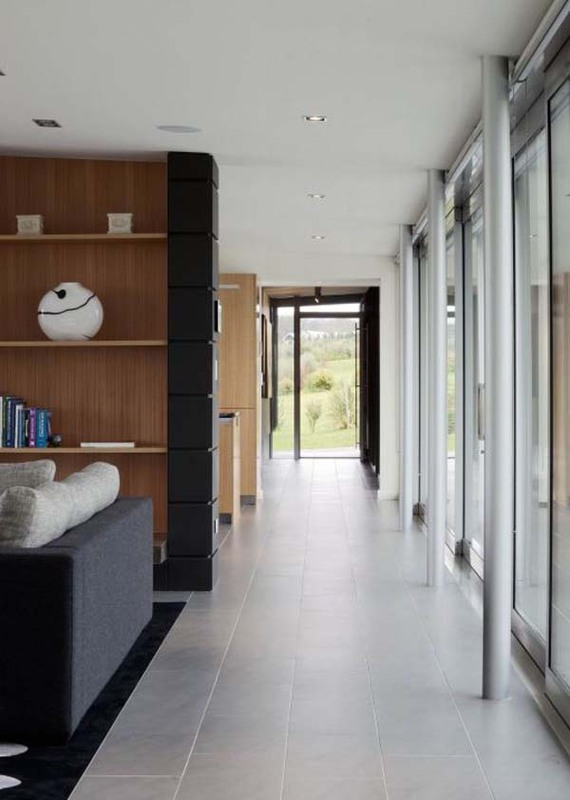 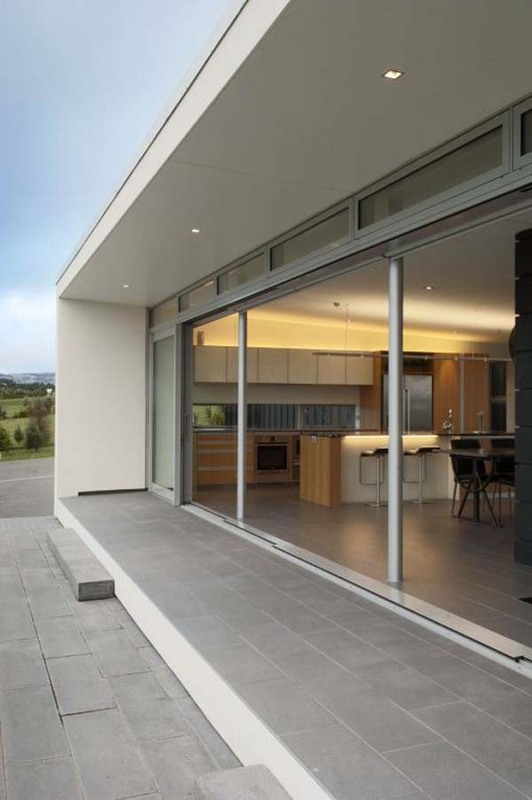 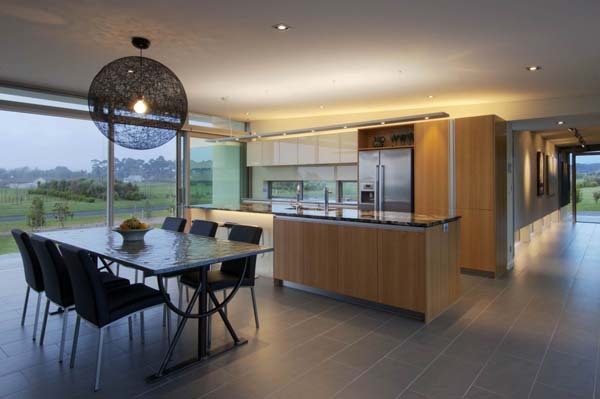 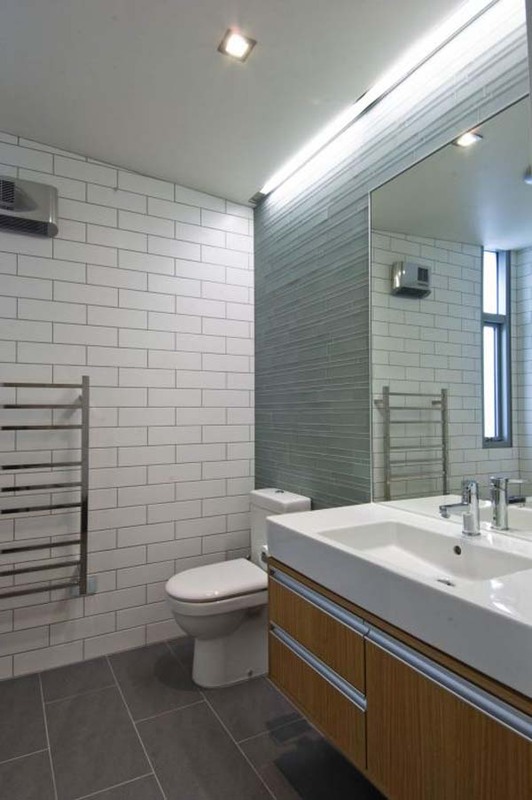 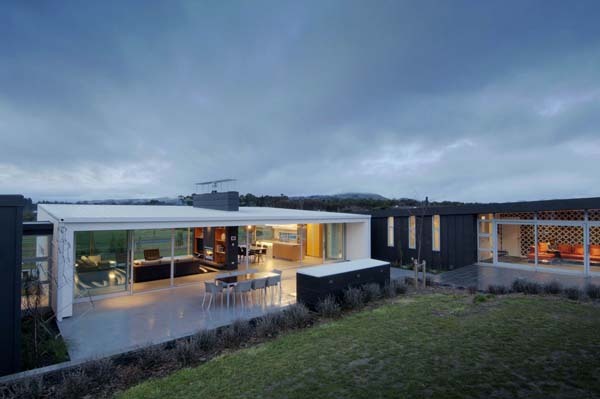 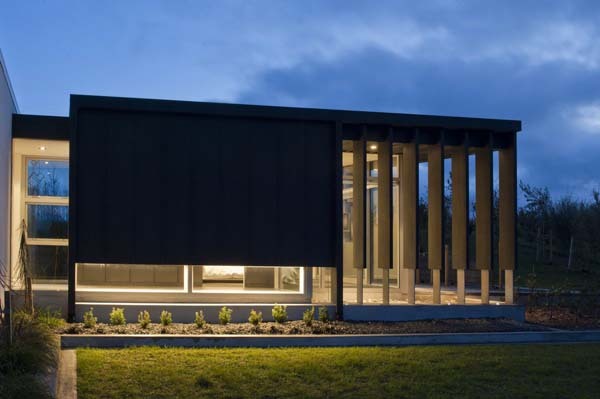 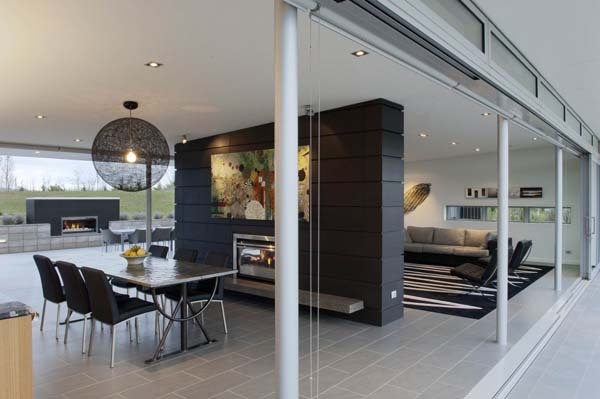 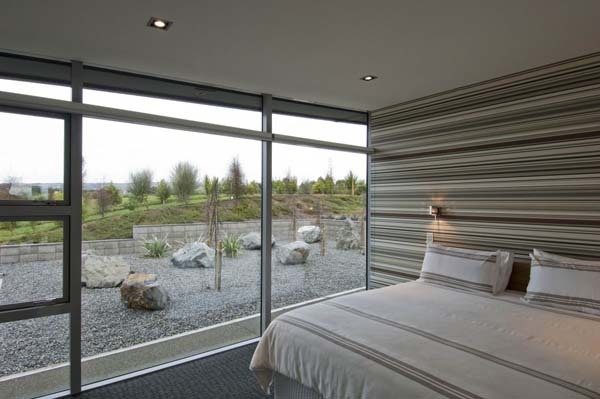 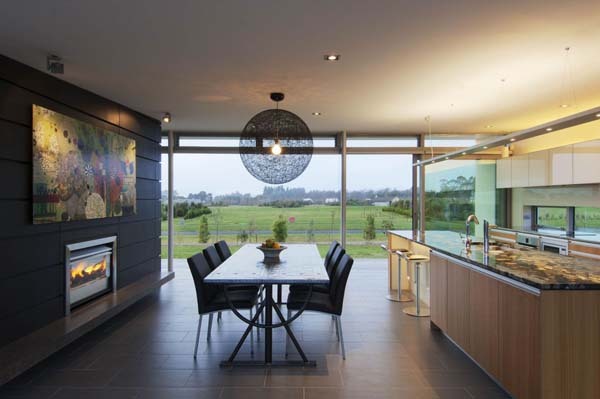 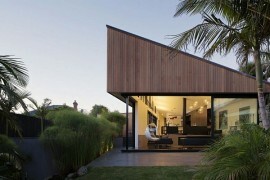 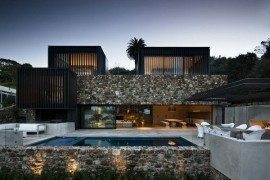 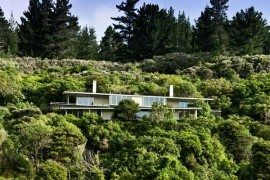 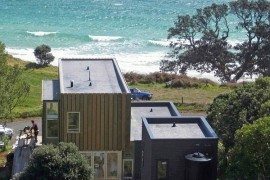 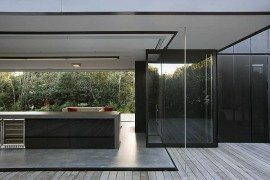 All in all, a wonderful modern dream home New Zealand style.